Jacinda Ardern touched by kind question from Christchurch student. When New Zealand Prime Minister Jacinda Ardern asked students at Cashmere High School if they had any questions for her, a teen near the front row put their hand up. “How are you?” they asked their country’s leader. It was an extremely thoughtful question. 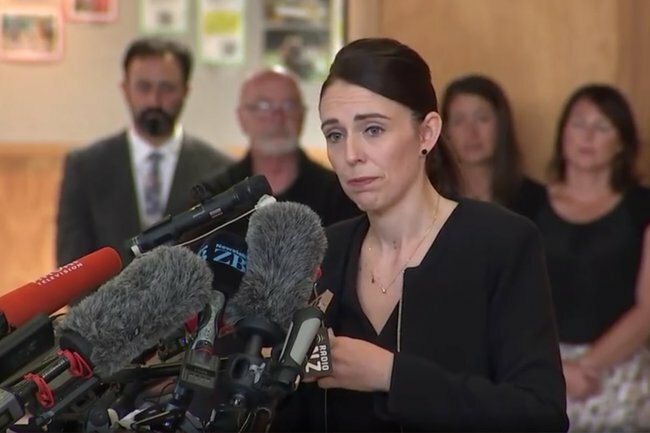 May more world leaders embrace compassion in their politics like Jacinda Ardern has. Post continues below. Christchurch’s Cashmere High School has been devastated by Friday’s terror attack on two mosques. 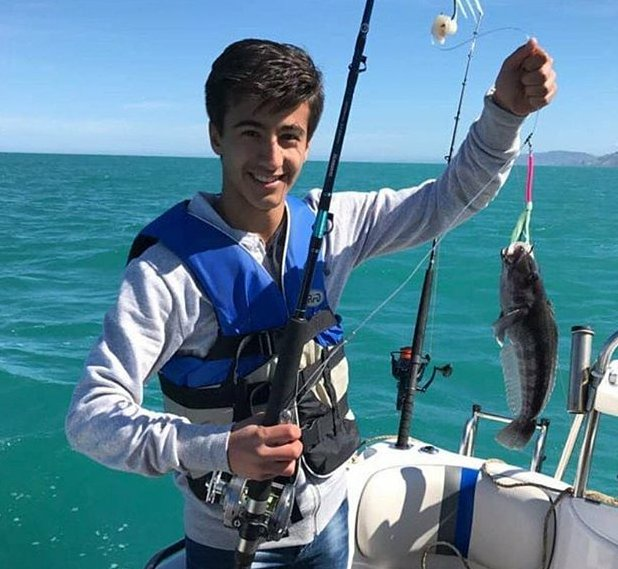 Two students – 14-year-old Sayyad Milne, who had “kind eyes, a big heart and a cheeky smile” and 16-year-old Hamza Mustafa, who had fled the Syrian civil war with his family, loved horses and dreamed of being a vet – died during the attack. 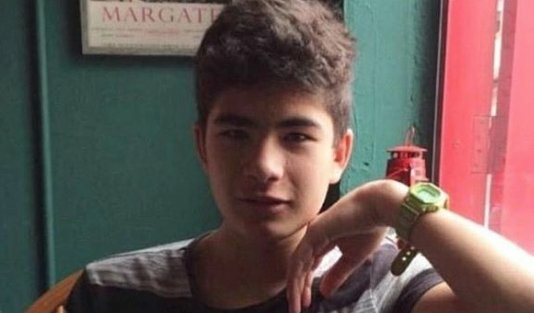 A third student, Hamza&apos;s younger brother Zaid, is still in hospital with gunshot wounds. Their father was killed, as was the father of another Cashmere student and a past student. The school is shaken up and in mourning. Appearing in front of students in their school hall, she called on them to honour their fallen friends and family. "Keep telling their stories. It&apos;s them who we need to honour," she said. "Don&apos;t dwell on his name. Don&apos;t dwell on who he is. Dwell on your students and friends, on the Muslim community." Ardern also spoke about plans to change New Zealand&apos;s gun laws and requested students help her make the country a place where "we don&apos;t let racism exist". She reminded them that their grief was important and offered channels in which they could get help if they needed it. As she has been since Friday&apos;s attack, she was strong and empathetic. 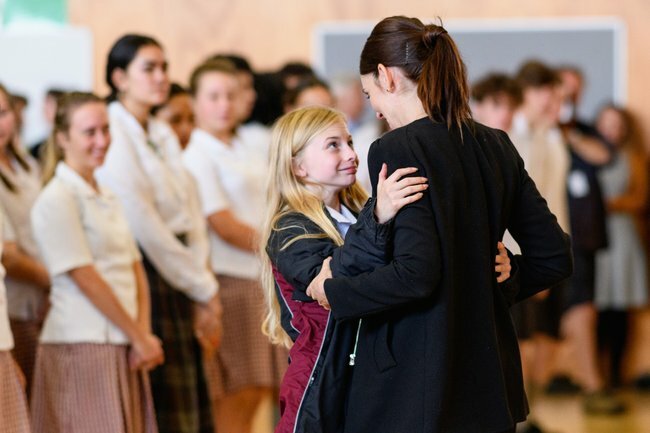 Cashmere High School student receives a hug from Prime Minister Jacinda Ardern. Image: Getty. But the kindness of one student to check in on her well-being, to ask how she was coping, clearly touched her. "How am I?" Jacinda repeated. It was a simple question and a simple answer, but it said so much about the leader and her country.